Quality Score, used in Google Ads, can seem like a bit of a mystery to new search advertisers. The promise of search advertising is that ads will be shown for selected keywords, so long as the advertiser is willing to pay for the resulting clicks. But with thousands of advertisers competing for top rankings on the same keywords, there’s clearly more to it. That’s where Quality Score comes into play. The online SEO blog, Search Engine Journal, has recently posted a great piece on Quality Score, what it is and why it matters. Quality Score is Google’s measure of how relevant a keyword is. As soon as Google has enough data, keywords in an advertiser’s account are assigned a score between 1 and 10, with 10 being the best. This number is a representation of the aggregate relevance of the keyword across the many auctions in which it participates. It is meant to guide advertisers but it is not used to rank ads. All of that sounds complicated, so why does Google have Quality Score? They use it to help show more relevant ads to users every time a search happens. Google depends on revenue from advertising so they have a big incentive to make sure users find the ads interesting and click on them. If they allowed low-quality ads to take up space that could be filled with more relevant ones, they’d make less money in the short term and risk alienating users in the long term. 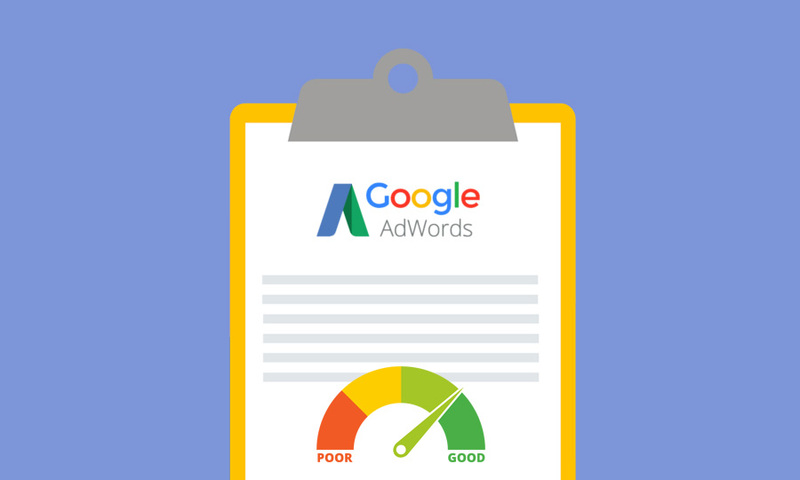 While it can sometimes be a struggle to improve Quality Score, it is useful for advertisers too because they like getting the type of high-quality leads that are possible with Google Ads. For those leads to keep coming, advertisers have to do their part in picking relevant keywords and writing compelling ads. And when they do, it can lead to big wins by reducing their CPCs. Google has so much data about how users interact with search results that they can use “big data” with machine learning techniques to come up with a measure of the expected relevance of every ad, keyword, and landing page relative to every search that happens. That’s a mouthful, so it’s called Quality Score. Rather than asking Google employees to judge the relevance of every keyword, a process that would be hugely time-consuming, subjective, and prone to errors, they use the principle of the “wisdom of the crowds” to assign Quality Score. Specifically, their algorithms monitor what users interact with on the search results page (SERP) to make predictions about future interactions. At its heart, Quality Score is really a predicted click-through rate (CTR). In the early days of Google Ads, before Quality Score, they used CTR to determine if keywords were low relevance and should be disabled, or pay more to get a good position in the ad auction. Over time, as machine learning techniques became better, Google started to consider more factors when determining expected CTR and the term Quality Score was introduced to replace the CTR component that had been part of the ad ranking mechanism before. So the simplest way to think about Quality Score is as a measure of how likely it is that users will click your ad for a particular keyword. Which ads are eligible to enter the ad auction. How the eligible ads are ranked. What actual CPC the advertiser needs to pay. A good Quality Score can be just as beneficial as a high bid. In fact, ads with lower bids can beat those of higher paying competitors by having better relevance. This makes PPC very appealing because it’s not just the biggest advertiser who always wins. Monitor your Quality Score and tackle optimizations when a low Quality Score is holding you back from achieving your targets.